Pig are funny and cute like this cast iron pig sculpture which aims to poke fund at the idea that pigs with all their weight, can fly...well, not this one! He plans to stay on the ground for quite a while! 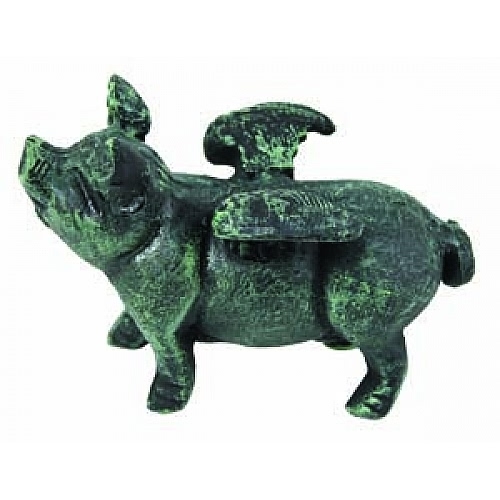 Dimensions: About 5"H x 7" x 4"
As if pigs can fly, our cast iron pig recreates that humorous adage by featuring two wings that will never take it off! Made of solid cast iron.